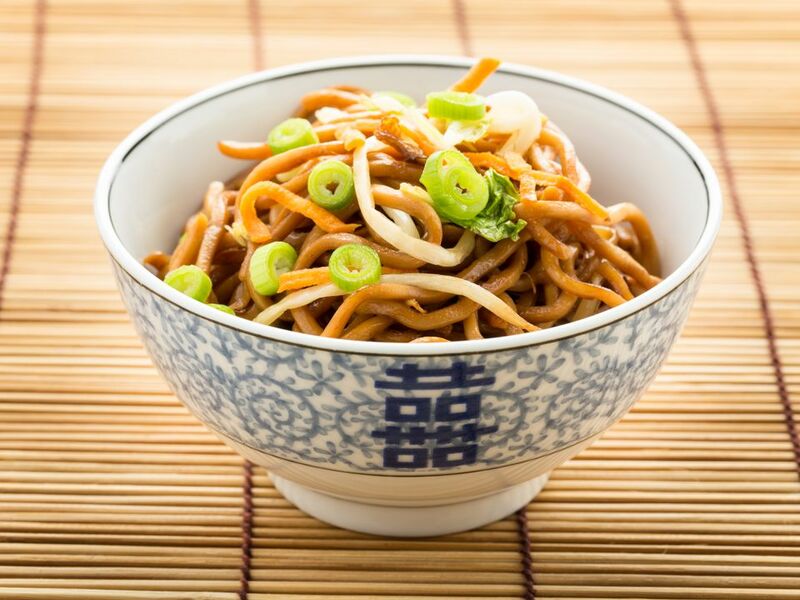 Crunchy cashews and vegetables complement the soft texture of the noodles and tofu in this vegan chow mein dish for two. Loosen the precooked noodles by soaking in a bowl of hot water for 2 to 3 minutes, then drain and set aside. Mix together the soy sauce, oyster sauce, sesame oil, and water in a bowl. Heat a wok or large frying pan over high heat, add the oil and stir-fry the carrot and broccoli for 2 minutes. Add the tofu and stir-fry for 4 minutes. Add the garlic and ginger and stir-fry for a minute. Stir in the noodles and then add the sauce mixture and cashews and mix until thoroughly combined and heated through.